Currently, the primary site for Grails plugin documentation is the plugin portal on the Grails web site. The trouble with the portal is that it doesn’t readily support multi-page documentation. On top of that, you can use gdoc to write a user guide for your plugin, but where will the generated manual go? Thanks to Luke Daley, I discovered GitHub Pages as a potential solution for those plugins I have hosted on GitHub. This feature allows you to create simple websites on a per-project basis. Before you can start publishing websites to GitHub, you first have to create a ‘personal’ page. The process is straightforward: create a new GitHub repository, clone it locally, add an index page, and then push your additions to GitHub. After the above steps, you will have a blank home page for http://franklin.github.com/. Note that it can take a while for your GitHub Pages site to activate. Also, you can access the URL http://<username>.github.com/ before you perform the above steps and you will see some instructions for setting up the various pages. Now that you have a personal Pages site, you can create project sites with URLs of the form http://<username>.github.com/<projectname>/. The process for this is trickier, so I refer you to the instructions on the GitHub Pages. You can either do it via your local git, or you can got to the project page on GitHub, click on the “admin” button, and select the “Generate project page” link. I prefer the latter approach because it’s easier and involves less typing! Once you complete the steps from either set of instructions, you will end up with an extra local tracking branch called ‘gh-pages’. This branch contains the website for your project and it’s where we will be storing the plugin documentation. When the grails doc command first appeared, it allowed you to automatically generate API documentation for your projects. 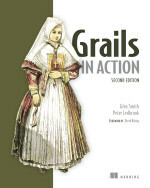 With Grails 1.2, its scope was expanded and it can now generate a manual that looks and feels just like the Grails user guide. You don’t have to do anything to get the API documentation, but the manual requires a bit of work. The basic idea is that you create a src/docs/guide directory and populate it with gdoc files. By prefixing the names of the gdoc files with appropriate numbers, you get a hierarchy of numbered sections. To get some idea of what you need to do, check out the source files that Luke Daley created for the Grails JMS plugin user guide. Generating the documentation leaves you with a docs directory full of HTML files. What do you do with it? The next step is to get it onto your project-specific GitHub Pages site. Doing this manually is a bit of a bind, but I’ve created a Grails script and some template files that make it almost trivially easy (once you have the ‘gh-pages’ branch locally!). $ git commit -m "Adding template layout and index page for GitHub Pages site." In the above set of commands, replace ‘index.textile’ with the name of the index file you created. Once the command successfully completes, you will find yourself back on the ‘gh-pages’ branch with all the documentation staged for a commit. You can then make any changes you want, commit everything, and then push the branch to GitHub. You can even do this in one step with the grails publish-github --push command, or if you want to automatically commit the documentation but not push, use grails publish-github --commit. The publish-github command does a few things. First, it generates the plugin’s documentation via Grails’ doccommand. It then copies the generated documentation to the ‘gh-pages’ branch (using an rather ugly technique). Once it’s on the ‘gh-pages’ branch, it generates a new ‘main’ layout based on the main.html.tmpl file. It basically reads the information from the XML plugin descriptor, plugin.xml, and populates the template with things like the plugin version and author. The template is then generated to _layouts/main.html, which you can reference from your individual pages. The ‘layout’ value is used to determine which file under _layouts to inject the page into. Ideally, the index page should use the _layouts/main.html template that the publish-github command generates, hence the value ‘main’. The ‘title’ option is specific to the generated template, which inserts the corresponding value into the title of the page. This is because it’s tough to get a suitable plugin name with correct capitalisation from the plugin descriptor. Update Somebody has pointed out that the publish-github command doesn’t work if plugin.xml is committed to your main branch (typically master). You could try modifying the script to handle this, but the XML plugin descriptor doesn’t need to be in GitHub at all – it’s generated after all – so I would simply git rm it. That’s pretty much it. You also have the full power of Jekyll (as described on the GitHub site), so you can build more elaborate sites as you see fit. If you want to see the results of all this jiggery-pokery, then take a look at the GWT plugin pages. 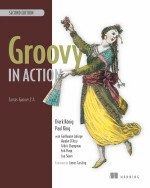 This entry was posted in Groovy & Grails on March 8, 2010 by Peter. Creating objects in Java is easy with the new keyword. In fact, it’s one of those things that you don’t think about. Need to access a file? Just create a new File instance: new File("build.properties"). For most Java developers, that’s all they need to know. Life becomes more interesting, though, when you start working with multiple class loaders. Class loaders? Argh! Run away, run away! That was pretty much my reaction for many a year. I just didn’t want to know about them. They were some kind of black magic and always Somebody Else’s Problem. It’s strange, because class loaders are actually pretty straightforward. Most Java developers know that you compile Java files to these *.class files and that those compiled classes have to be loaded by the JVM somehow. That’s basically what the class loader does. But like threads, the problem is not understanding what they do, but getting them to work together. How many times have you heard the phrase “it’s a class loader issue?” I’ve certainly heard (and said) it more times than I’d care to admit. As soon as you have more than one class loader in an application, you have to start worrying about which classes can “see” which others. It can easily become a nightmare. But class loader behaviour is perhaps a post for another time. Let’s get back to new. So, the first time that you create a new object, the JVM has to first load the class. This happens transparently when you use new. The question is, what class loader is used? And why does it matter? In fact, the above is a simplification of what actually happens, but it suits the purpose of this post. The JARs for the first three classes are all on the classpath of what we will call the build class loader. This loads all the classes used directly by the build. So what about Jetty’s Server class? The most important thing to understand is that the Server class must be loaded by the same class loader that loads the Grails web application. Although you can pass your own class loader to the embedded server, if it’s different to the one that loads Server you’ll run into those dreaded class loader issues. Right about now, you should be asking yourself “what class loader was used to load the Server class?” It’s a critical question because it determines what class loader is used to load the entire web application and hence what classpath the application’s runtime dependencies should be on. In this case, the class loader used is whichever one loaded the RunApp script. The new operator effectively delegates to this.getClass().getClassLoader(). What does that mean for our example? It means that the build class loader is used to load the Server class and therefore must also be used to load the web application classes. In other words, all the application’s runtime dependencies must be included in the build class loader! What’s the problem with that, you may ask. There is one potential problem and one actual. The potential problem is class conflicts. What if the web application depends on a different version of a library that’s already on the build system? It’s a particular problem if any of the Apache XML API libraries are on the classpath. These cause absolute havoc. The other problem is that the more JARs you have on the classpath, the longer it takes for the JVM to find the class it’s after. That means longer start up times. It’s one of the problems OSGi was designed to solve (he was told by a man in the pub). Why put JARs on the build classpath that the build itself doesn’t need? because you’ll get a ClassCastException on line 2. The declared type of server is loaded by this.getClass().getClassLoader(), whereas the new instance is loaded in a different class loader. Different class loader means different classes. So you have to use reflection to invoke the methods and access the fields you need. Fortunately, you only have to jump through these hoops at class loader boundaries. This entry was posted in Software on March 1, 2010 by Peter.